Compact, easy to use and safe describe the Origo 6000. 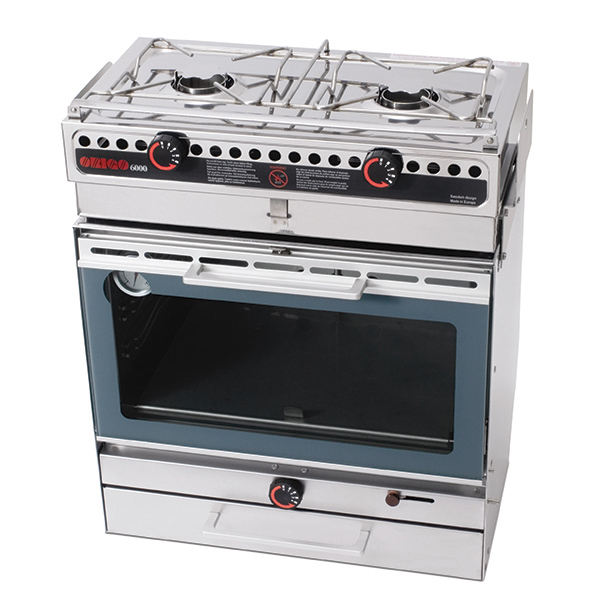 Like the other Origo stoves, this stove/oven combo uses safe vapor-release canisters to generate cooking heat. The stove requires just 10 minutes to boil one liter (34oz.) of water. The oven, with tempered glass window, boasts a built-in thermometer, which helps you maintain the ideal cooking temperature. Fuel canister reservoirs hold 40oz. of fuel, are easily accessed for refilling—and will not leak if turned upside down. Canisters provide about 4 1/2 hours of cooking at the maximum setting and about 10 hours of cooking at the regular setting. Range comes ready for gimbaled installation with included hardware.